Conducted under AIM’s unique Catch-Record-Release™ format that the late David A. Andersen helped promote, Adam bested the field with 35.28 pounds for this one-day event, winning Adam, of Amery, WI and partner Jason Evenson, of Luck, WI, $2,500. The pair did it all in a Warrior 2090 Tiller that Andersen’s dad had re-designed after becoming a co-owner of Warrior, now based in Melrose, MN. Adam Andersen, who’s also competing in this week’s AIM Weekend Walleye Series (AWWS) Yamaha Motor Corp. Minnesota Division Championship, said he did it pulling lead core over the mud on Lake of the Woods in choppy conditions, just like his dad liked it. 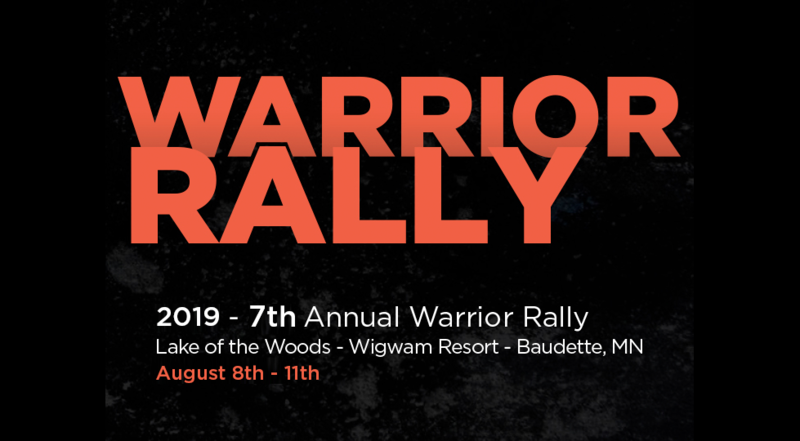 Warrior Boats LLC is a presenting sponsor of the AWWS. That one was followed by a 24-1/2-incher, and its twin. “We knew that if we rode it out all day maybe we’d get lucky, and later on in the afternoon we did, and the rest is history,” he said. That win was enforced by a 27-1/4-incher, the last fish they recorded on their card. “It felt great. I’ve fished a few big tournaments and obviously you want to win’em all, but my partner and I both talked, and I don’t think we ever wanted to win quite as bad as I wanted to win this one, for obvious reasons,” said Andersen, who helped his dad oversee a custom home construction business. Andersen said that he was hoping for Lake of the Woods to turn grumpy to give him an edge, and right on time, it did, pushing up 4-footers from the start as the field went through the “gap” near the tournament HQ, Wigwam Resort, and into the main lake, just like his dad liked to fish in. “Thankfully conditions were a little tougher, and that messes with people’s heads, and they start thinking about other things, not fishing. As soon as we went through the gap and saw the boats flying in the air, we were hoopin’ and hollerin’ and we were off like something was pushing us,” he said. Or, someone. “The others were still fishing but they weren’t concentrating. I’m sure that helped. The waves weren’t the biggest I’ve ever fished in but they were straight out of the north, so the more we ran, the better they got.” That gives you an inkling as to where they found their fish. But, the problem was, Andersen added, everyone else had a Warrior boat in this tourney, too, and they had one of the best rough weather boats in the business to contend with the conditions. That won’t be true for the championship Friday and Saturday. As they road back into their win, Andersen said, he thought of his dad, and how happy he would have been to see his son win the first-ever tournament named for one of the co-owners of both AIM, and Warrior. “I imagined he would have been pretty happy. But the ride in it was pretty hard. On every tournament, I’d always get a phone call, and it’d be ‘well, how’d you do?’ It was tough,” Andersen said. The awards ceremony, by all accounts, also was tough. And, celebratory at the same time. Because on a choppy, day on Lake of the Woods that David Andersen would have loved, a win brought both solace and victory to someone who needed it, in a Warrior-tough boat. Yup, dad would have been proud.